Our aim is to answer and help you in the shortest possible time. We approach you in your language with the support of our representations. We are the local link between you and our representations. The activity of J.M. Stäheli, S.L. 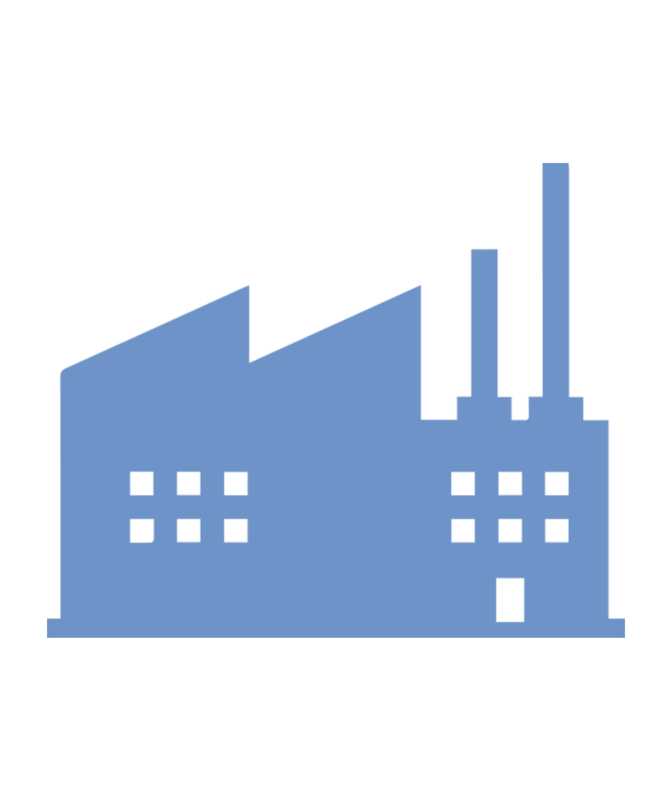 is focused on the representation of foreign machinery manufacturers for the plastics industry within Spanish territory, as well as on the translation of technical patents from English, German or French into Spanish and on the filing thereof at the Spanish Patent Office (O.E.P.M.). 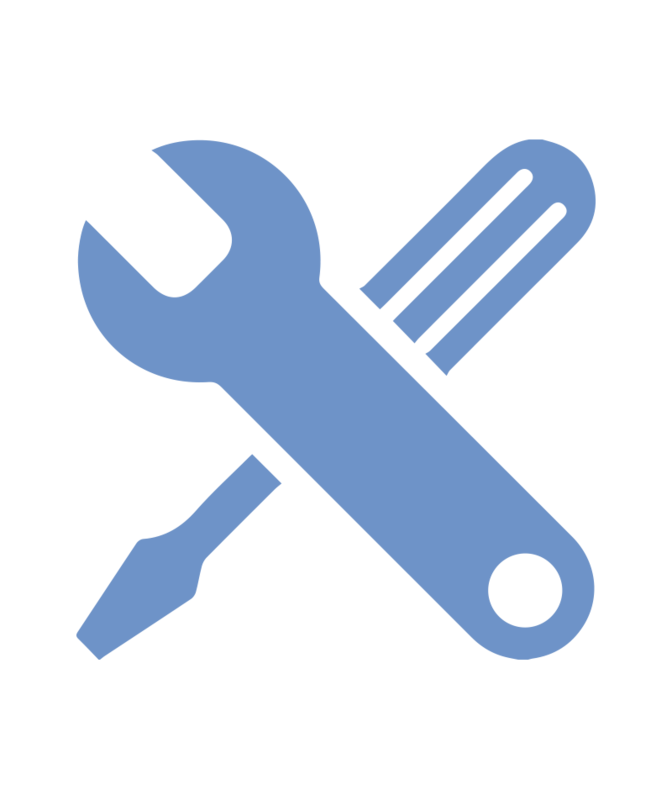 Our services are based on the study of the Spanish market within the sector, the technical advice during the selection process and useful life, the presentation of quotations and discussion of projects for new equipment, as well as spare parts, and the constant information of news and novelties of the respective representations. Foundation of the company in 1931 by Walter Stäheli with the representation of the patent office Clarke, Modet & Co. and the import of raw materials for the rubber industry. 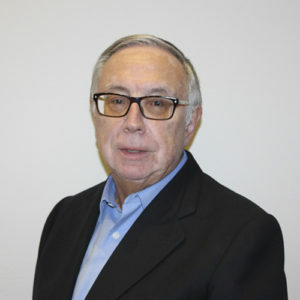 In 1971 his son Juan-Marco Stäheli takes over the family business to continue growing with the same model created since its foundation, as a commercial agent dealing with exclusive representations for Spain and patent translations. In 2001 the company adopts the name J.M. Stäheli, S.L. to formalize its situation in the market and to consolidate itself as a company. In the middle of 2017, the third generation, Albert Stäheli, joins J.M. Stäheli, S.L. to continue offering the best possible service to its customers, guarantee the continuity of J.M. Stäheli, S.L. and reaffirm the wish to continue growing. Over 80 years in the sector along with the different representations over the years, some of them with more than 45 years of collaboration and experience, endorse J.M. Stäheli, S.L. 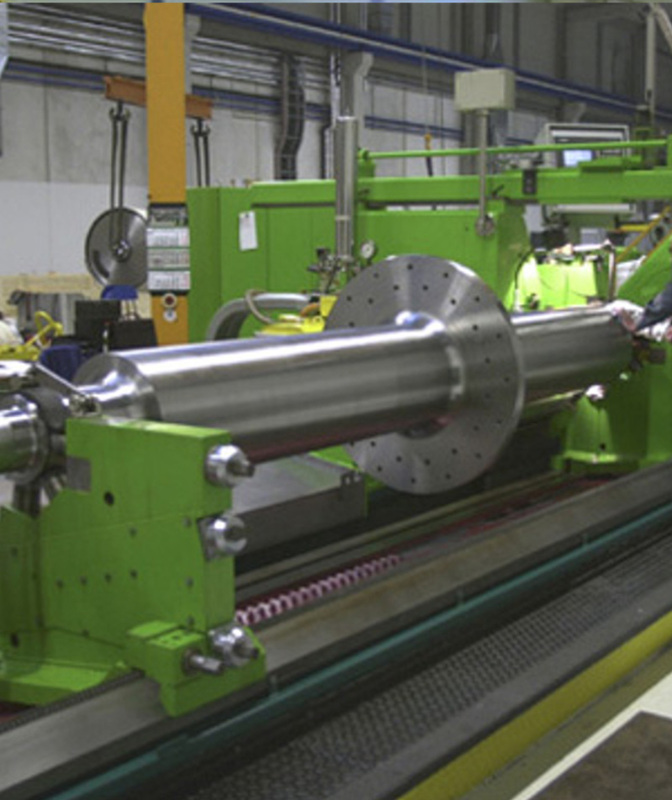 as one of the companies representing industrial machinery leading within the Spanish territory. He completed his high school studies in Spain and Switzerland and then his university studies in mechanical engineering at the ETH in Zurich, Switzerland. For two years he worked as a Trainee in a patent agency in USA. Early 1971 he returned to Barcelona to join the family business, enlarging, and consolidating the representations in the plastic and rubber sector. After completing his high school studies in Spain and getting his mechanical engineering degree at the ETH in Zurich, Switzerland, he started at MAHLE GmbH in Germany with the Trainee Program and then continued as a technical sales engineer. 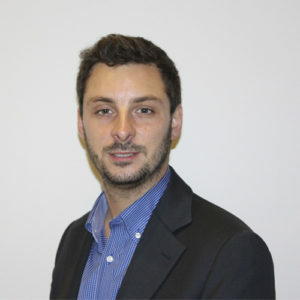 In early 2016 he moved to SONCEBOZ S.A. in Switzerland, to take up the position of KAM, until mid-2017, when he decided to return to Barcelona to join the family business. The Compact Power BLDC CPM90 5934 features a brushless, permanent-magnet synchro-motor as well as a fully integrated control unit. 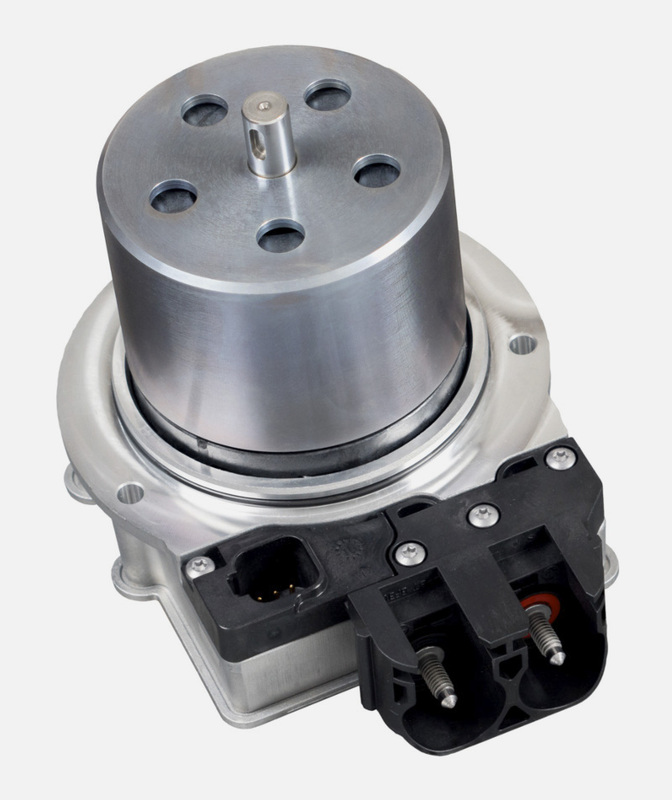 The motor achieves a maximum efficiency -over 90%- for all low voltage applications. The Compact Power BLDC CPM90 5932 features a brushless, permanent-magnet synchro-motor as well as a fully integrated control unit. 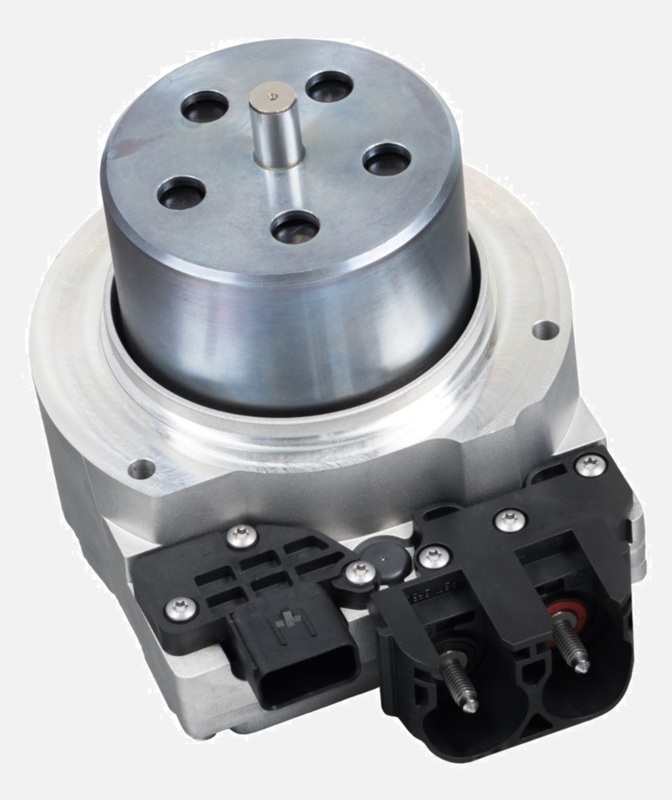 The motor achieves a maximum efficiency -over 90%- for all low voltage applications. Among others the plugs of peripherally bored calender rolls, irrespective of their plug system, can be replaced. And also calender rolls with different kind of seals can be treated (opened, cleaned and closed again). The tightness will be checked by pressure test at ambient or working temperature. 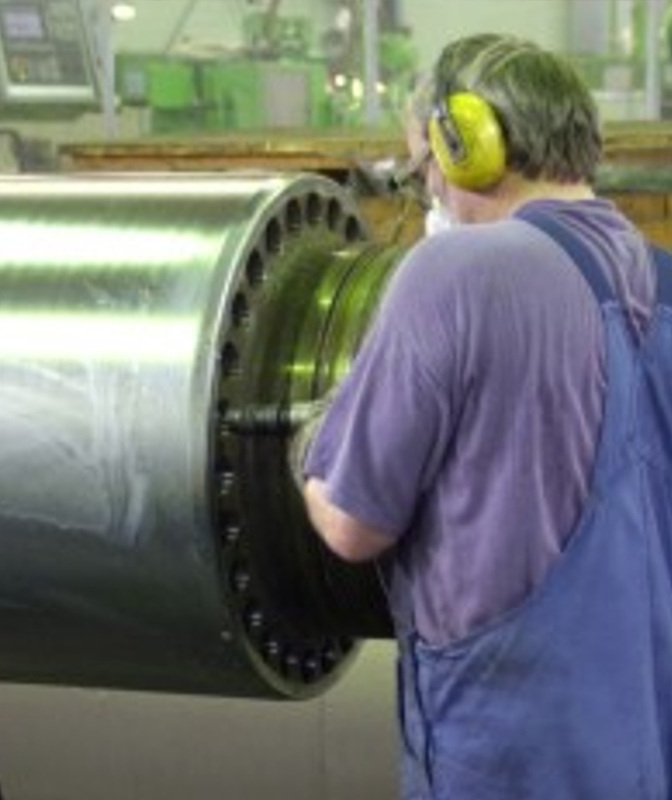 To obtain the best possible quality, once ground to the desired diameter, the roll can be polished or matted. 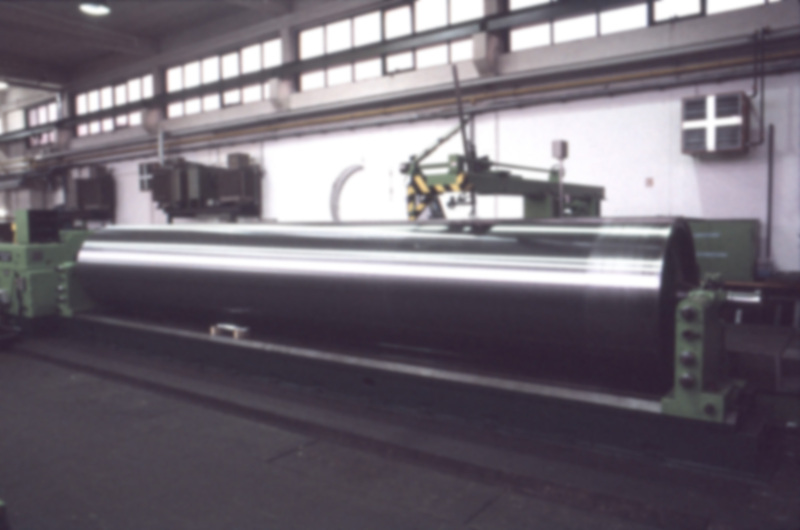 By polishing of the roll’s surface, the roughness will be reduced to the requested value. This can be done either by simple polishing or superfinish polishing. 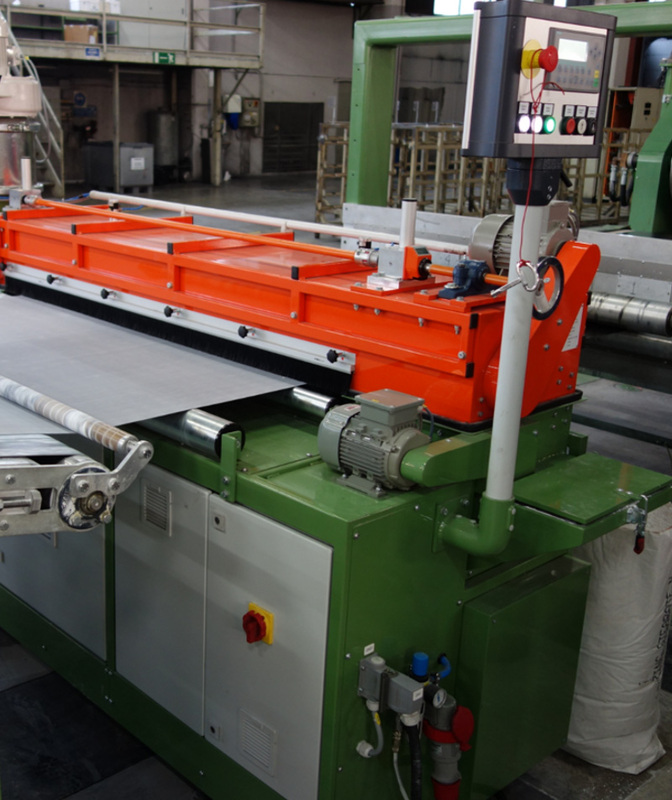 By matting of the roll’s surface, the roughness will be raised to the requested value. The kind of blasting material determines the shape of roughness. 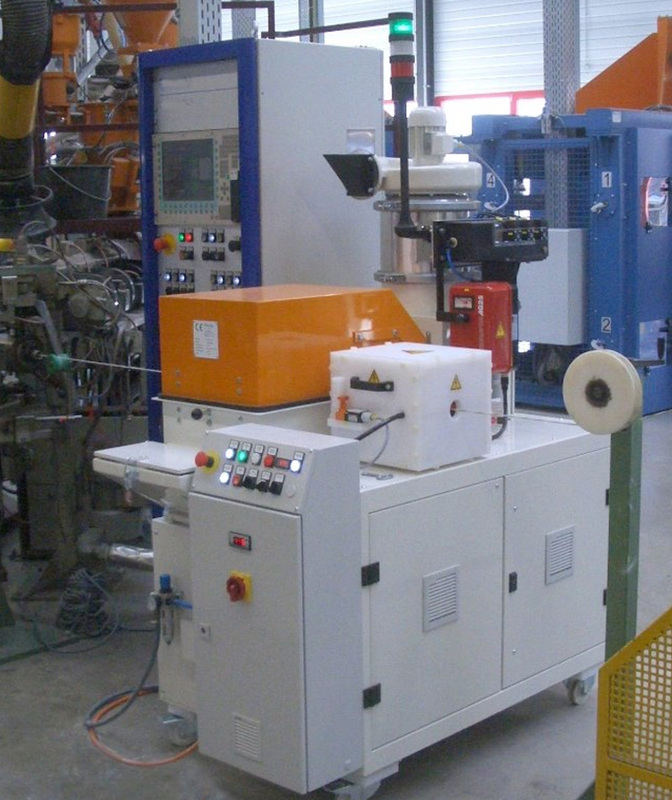 Both ways of processing are independent of the roll’s material. All common types of steel and cast iron can be polished or matted. The same goes for rolls which have been chrome-plated or nickel-plated. The combination of both types of processing is also possible. 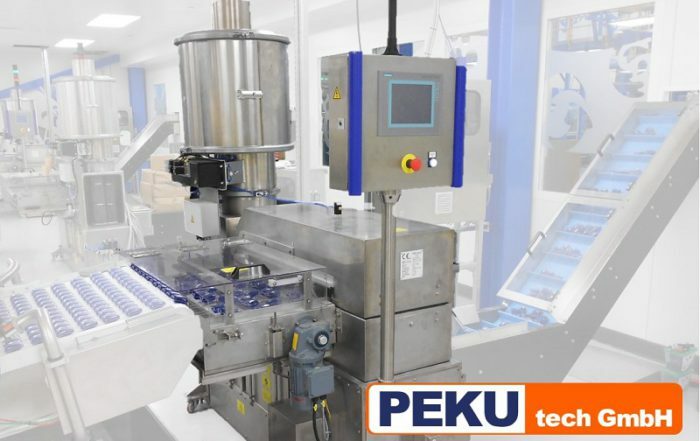 Available turning machines enable to provide all services on workpieces with dimensions Ø 1100 mm (above slide) / Ø 1600 mm (without slide) x 12000 mm total length and a weight of up to 25 tons. 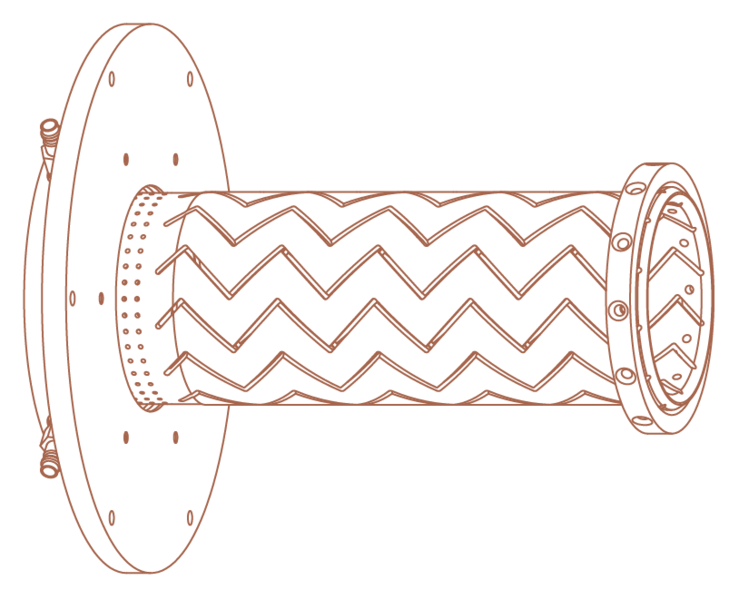 In case of heavy wear, the original diameter of the roll can be restored through the nickel-plating process. 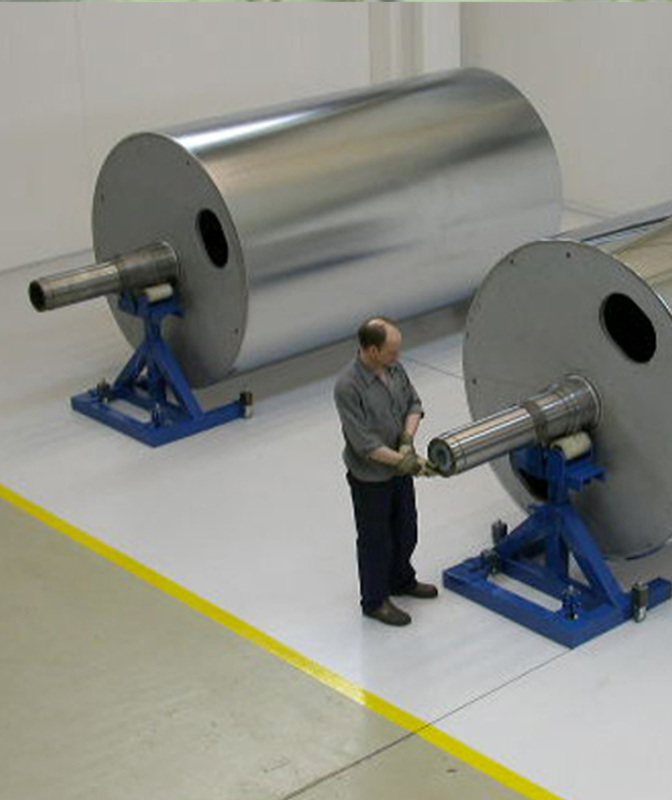 Since the nickel layer is almost as hard as the chrome layer, a roll with nickel beneath the covering chrome layer does not have any limitations during the production process. Vertical chrome plating tubs offer sufficient capacity to treat any size of roll. Any demanded thickness of a layer will be precipitated with the best possible structure. In particular applications of the chrome-plating technique electrolytical mattings can be produced. 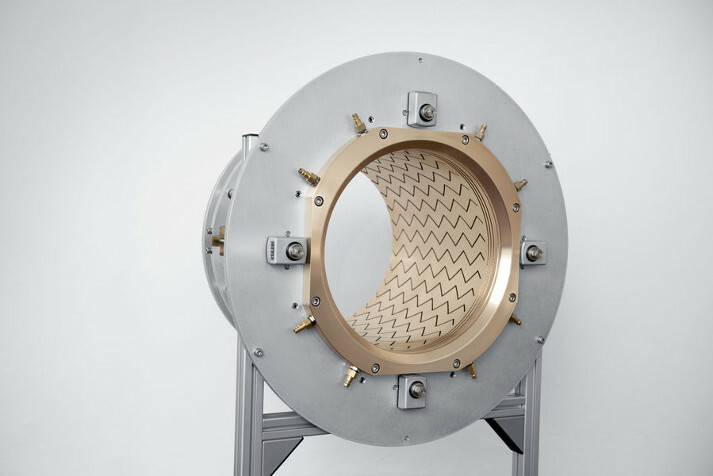 Upon request, the hydrogen produced during the chrome plating, which has been stored in the chromium layer due to the process, is outgassed by heating the roll. This process is known as dehydration. 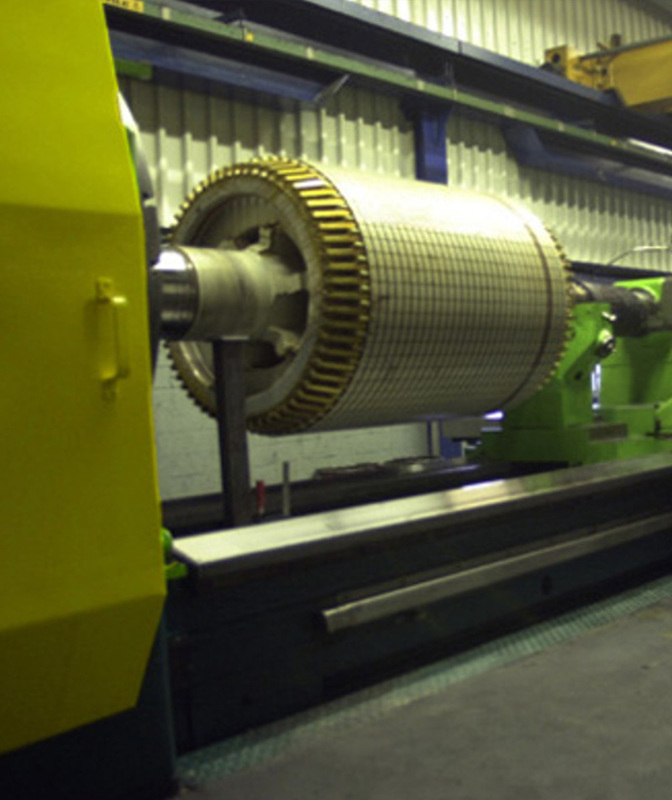 With the available grinding machines very big and heavy rolls can be ground with maximum precision. 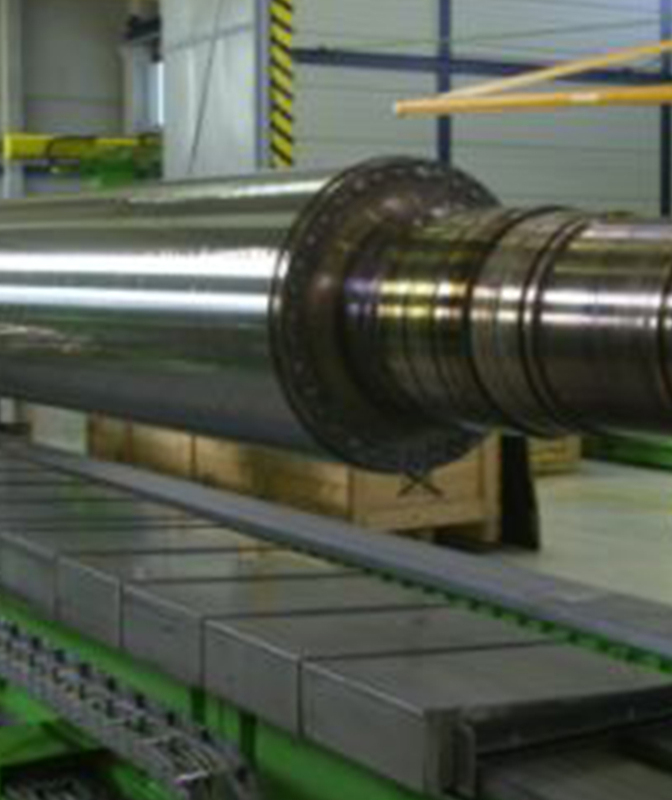 Rolls up to 3500 mm in diameter and a maximum face length of 10000 mm can be worked with great accuracy. The CNC technique gives the ability to produce any requested profile of the face. 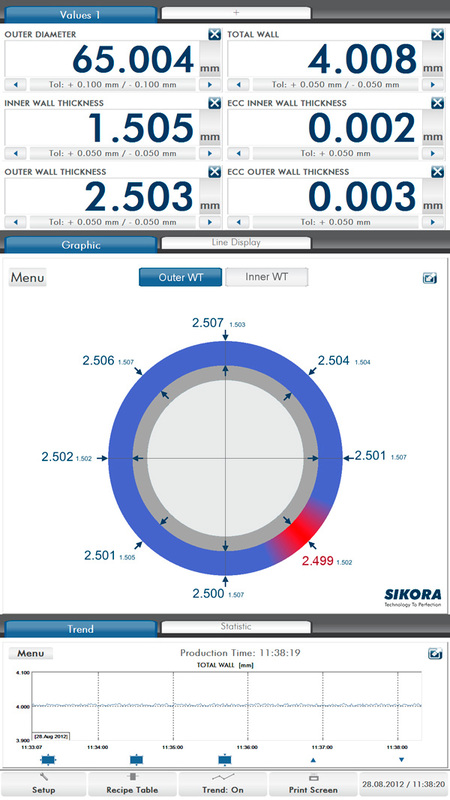 The deviation of the profile’s target can be limited to 1 µm. 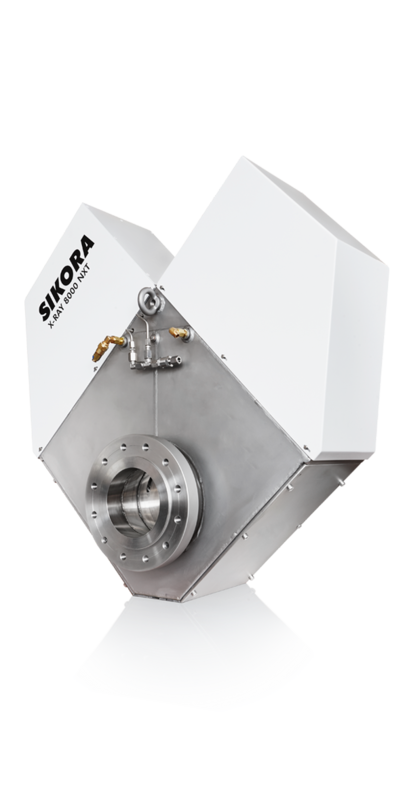 The result of grinding including run-out and concentricity is made out and printed electronically. 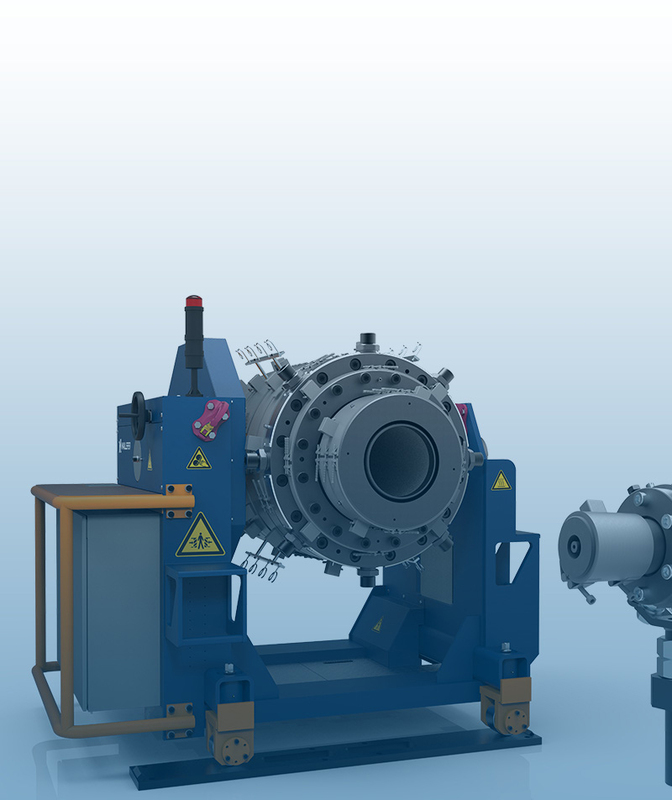 Possibility to do grinding of rolls with exactly the temperature the customer uses during the production process. The Compact Power BLDC CPM90 5924 features a brushless, permanent-magnet synchro-motor as well as a fully integrated control unit. 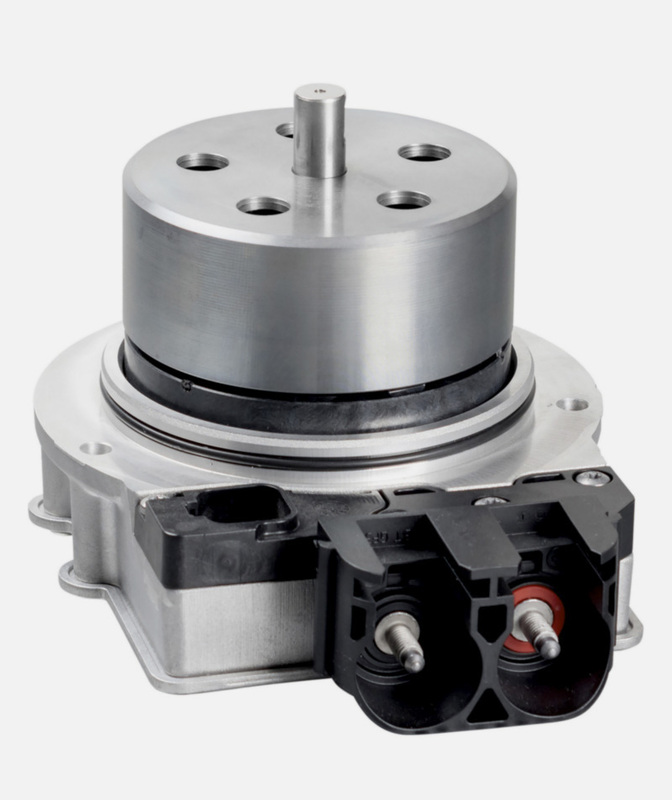 The motor achieves a maximum efficiency -over 90%- for all low voltage applications. The Compact Power BLDC CPM90 5922 features a brushless, permanent-magnet synchro-motor as well as a fully integrated control unit. 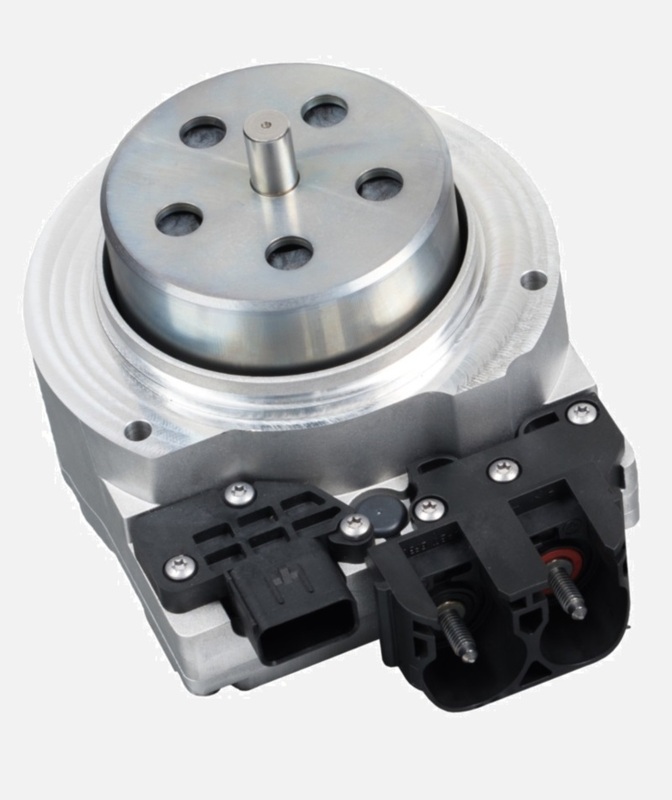 The motor achieves a maximum efficiency -over 90%- for all low voltage applications. 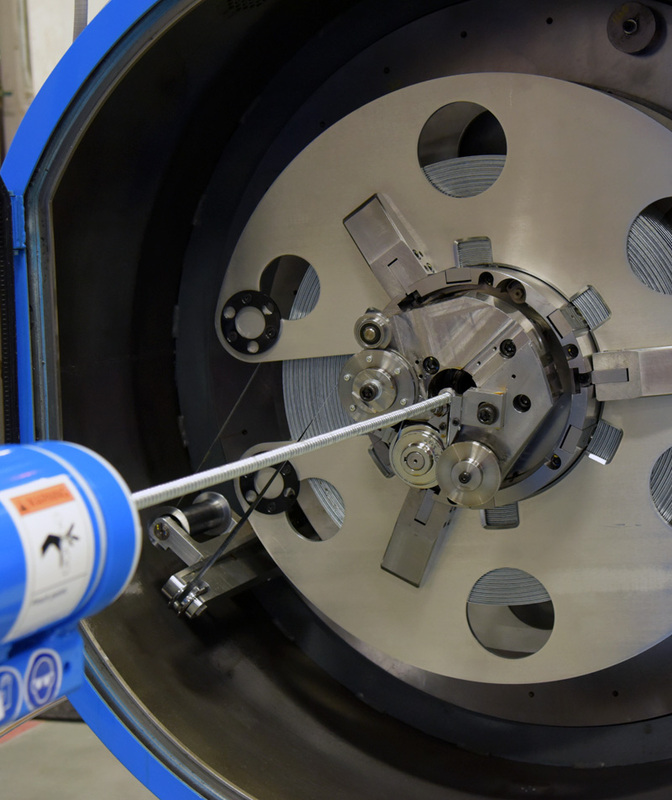 X-RAY 8000 NXT devices for CV lines continuously measure the concentricity, diameter, wall thickness and ovality of cables up to three layers in a pressurized environment. 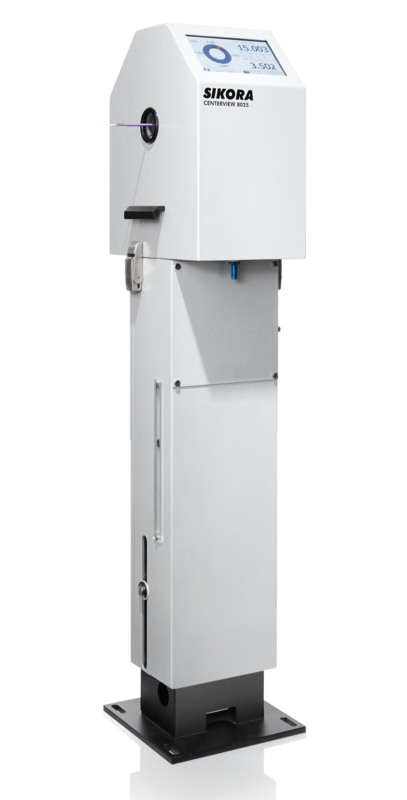 X-RAY 6000 / X-RAY 6000 PRO equipment measures continuously the concentricity, diameter, wall thickness and ovality during the cable sheathing process of up to three layers.  They contain no moving parts, so they do not require any calibration. Different sizes depending on the cable diameter. LUMP 2000 devices detect non-conformities on the product surface regardless of line speed. 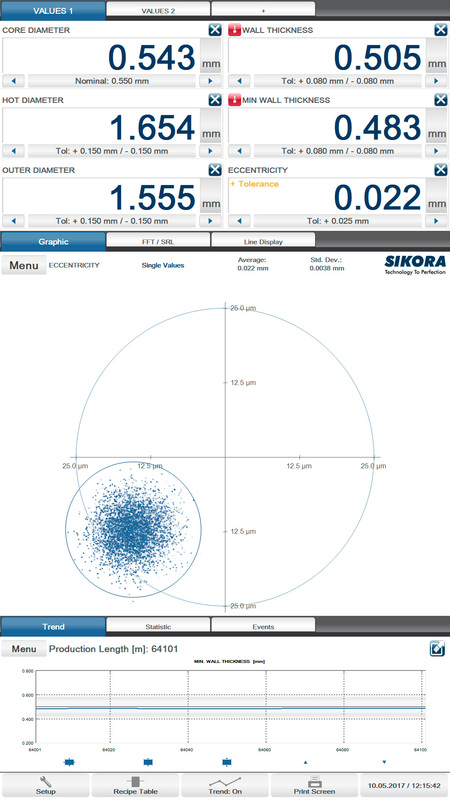 Depending on the model, it can measure in 2 or 3 axes. 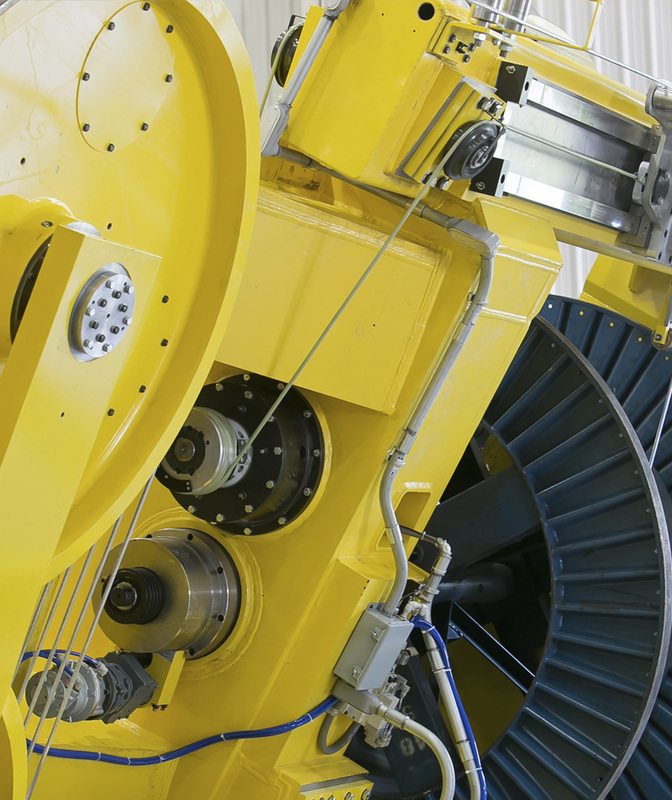 The CENTERVIEW 8000 unit measures the eccentricity, diameter and ovality of cables, regardless of line speed. Non-contact measurement based on an inductive and optical laser principle. Graphical visualization of measuring values as a scatter plot for showing short-term variations of eccentricity. 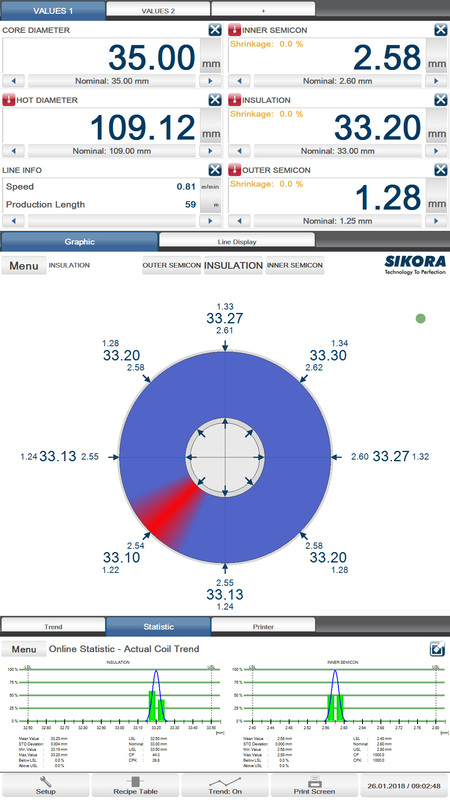 Automatic centering of the gauge head to cable position. Direct line integration. Different sizes depending on the cable diameter. 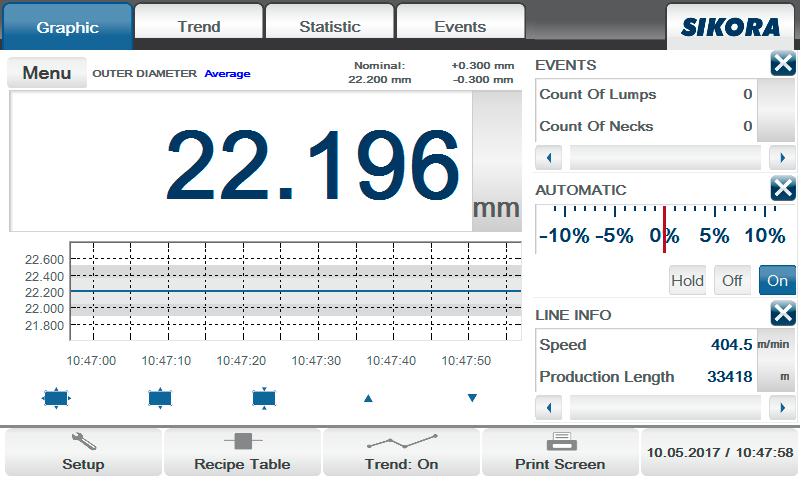 Depending on the model, they measure in 2 or 3 axes, in addition to detecting possible defects such as lumps and necks. Direct integration in the line or as an independent device. 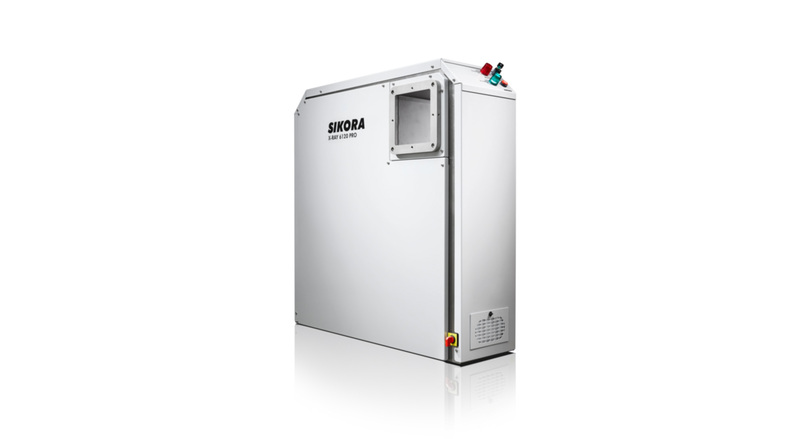 LASER Series 2000/6000 devices measure diameter and ovality continuously and without contact. They do not contain moving parts or lenses, so they do not suffer wear or require annual calibration. 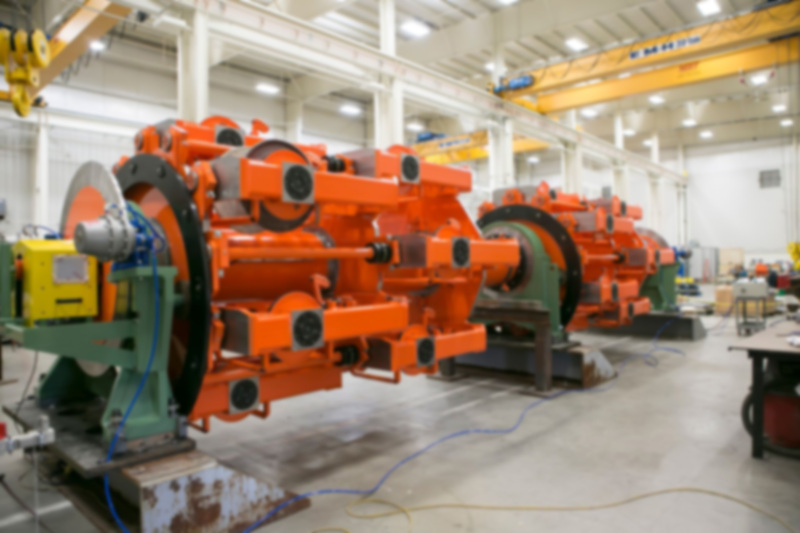 Maillefer offers upgrades for all types of wire and cable lines as well as continuous maintenance and training of operators to continue improving and increasing production capacity. 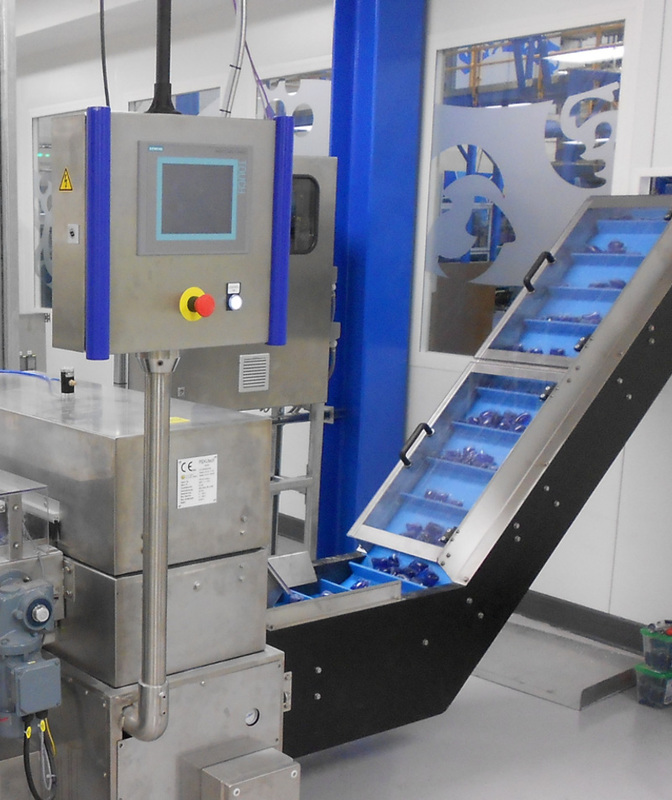 Maillefer offers a wide range of components either to increase production capacity or flexibility, or to replace or upgrade the existing production line. Maillefer offers a wide range of consulting services to acquire and update needed production competence and R&D capabilities, and to improve the performance and productivity of your current factory. 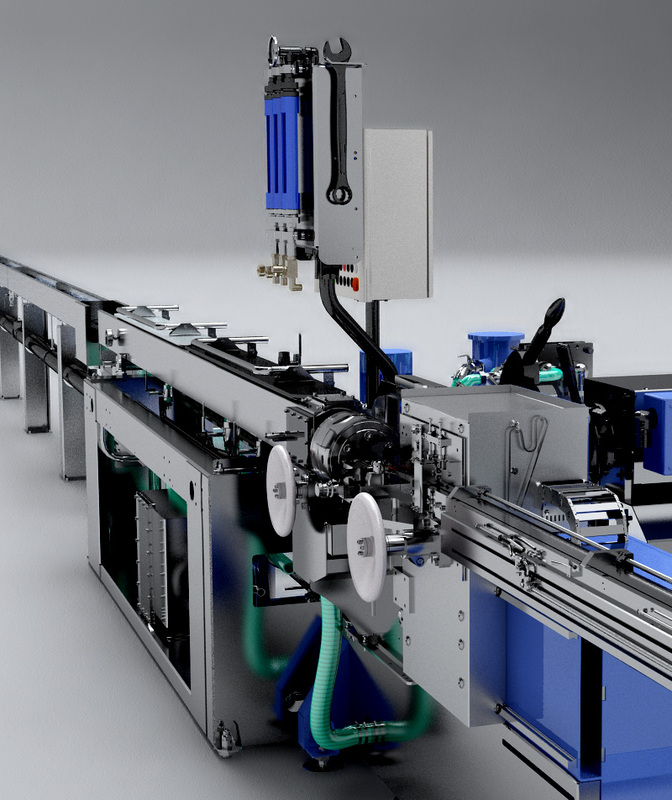 Also, Maillefer can partner with you in the conceptualization and realization of a new factory. 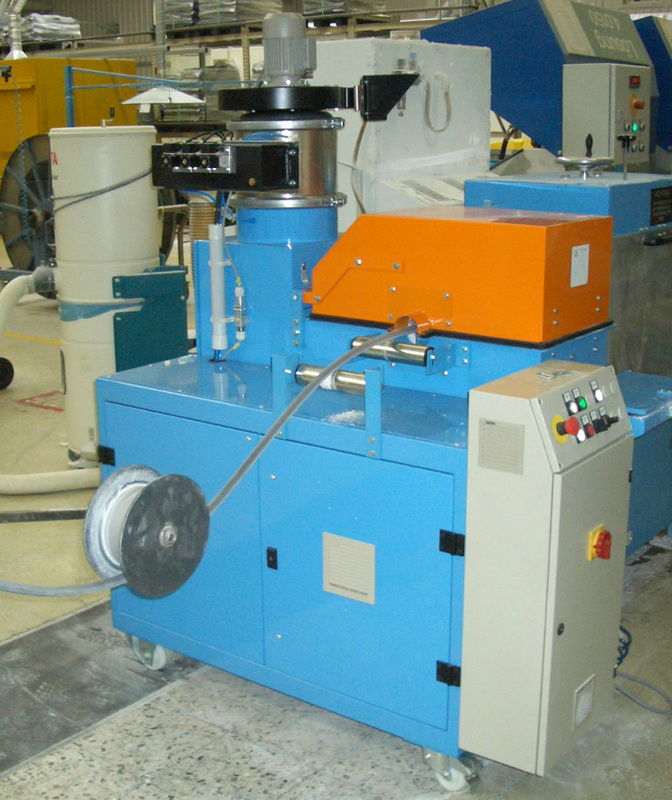 Profile powdering is applied in extrusion lines for rubber or silicone strips, hoses or profiles. 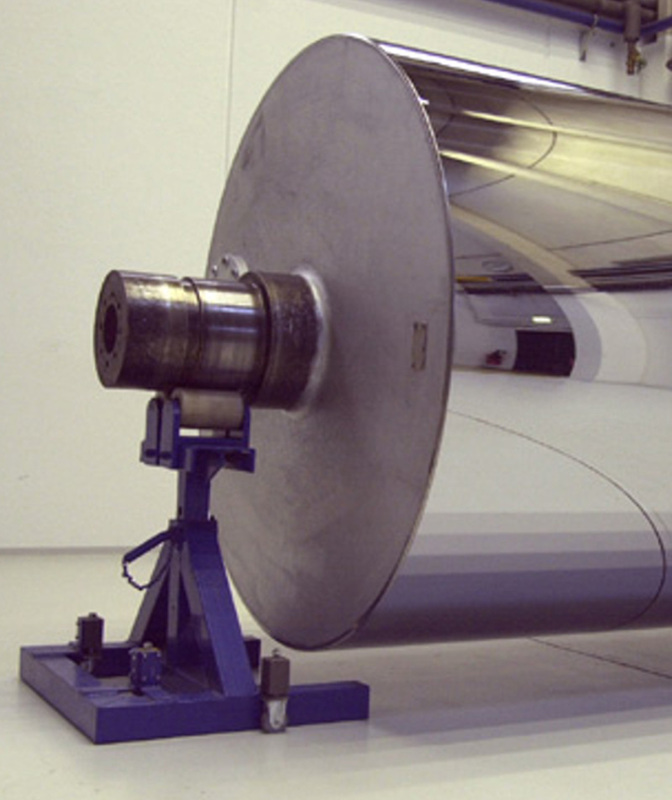 Calendered sheet powdering allows the adhesion to be avoided during the winding process of the sheet. Suitable for a useful width of 500 – 3000 mm. Rubber parts powdering is done by means of a grooved conveyor belt, which allows continuous adjustment of the powdering grade as well as of the speed of the line. Cable powdering is based on a mechanical and electrostatic system, so that the powder adheres only to the cable. A wide variety of available powder materials can be used, some of them without the need of explosion-proof measures. 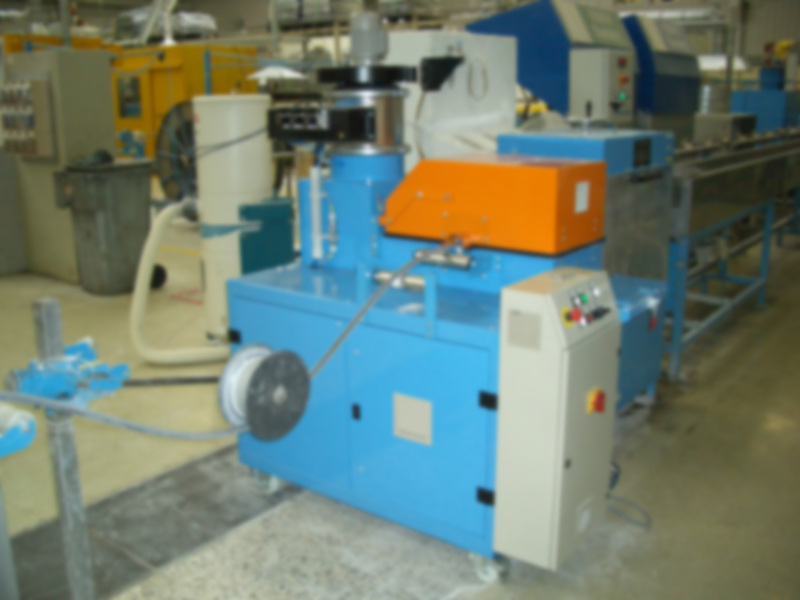 Interlock Strip Armouring machines are used for the production of armored cables and flexible conduits. They are suitable for building cables (MC & AC), ESP cable (Electrical Submersible Pump), data, fiber optic, safety & fire alarm cables. They represent a low-cost solution for the physical protection of energy, instrumentation, coaxial, data and optical fiber cables. Cable constructed with strip armouring of aluminum, steel or copper is also known as BX, Interlock or MC cable and offers a combination of high tensile strength, crush and impact resistance making it the preferred choice for demanding installations. 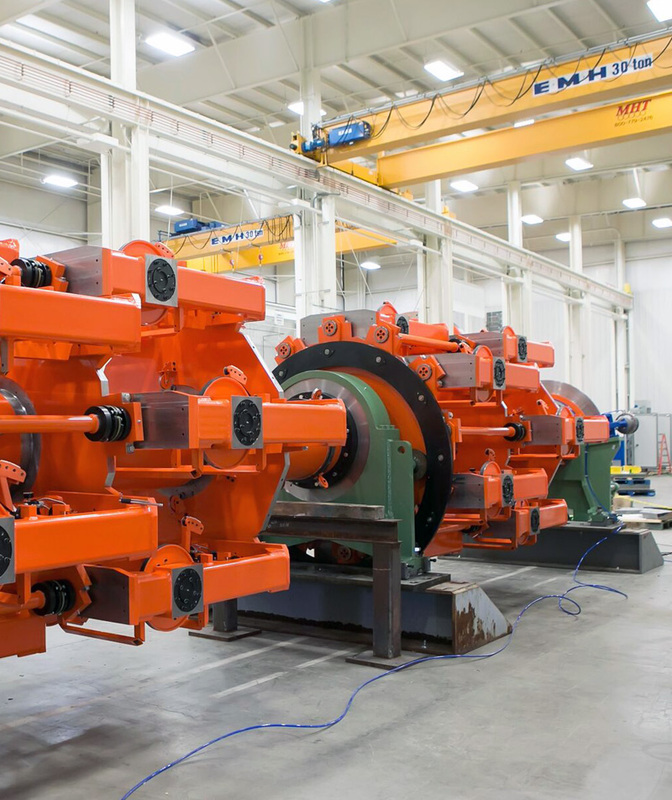 Rigid Stranders are cage type machines without backtwist. 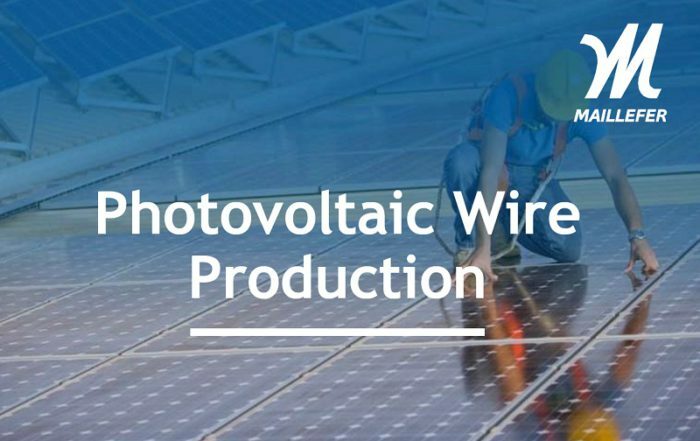 They are suitable to produce multiple wire combination strands of copper or aluminum for low, medium and high voltage applications, cabling insulated conductors for control cables, screened power cables and steel wire armouring. 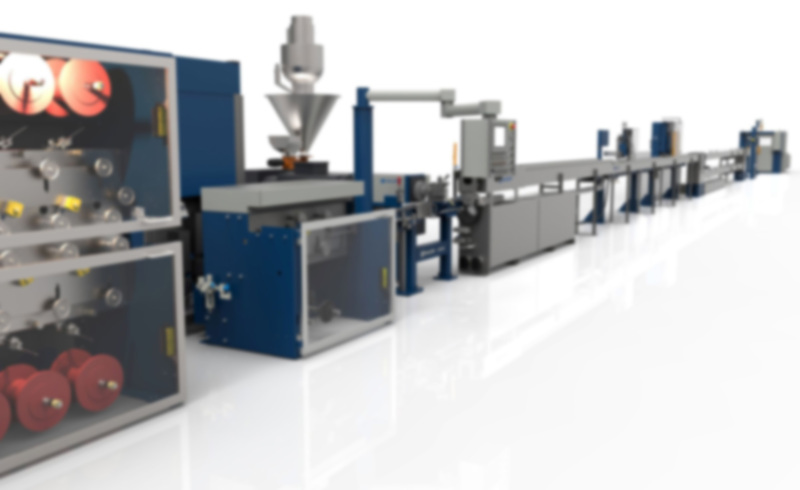 Typical lines include the capability to strand 37 or 61 elements in a single pass with tandemizing options to further enhance the line’s capabilities. Planetary Stranders are cage type machines with backtwist. 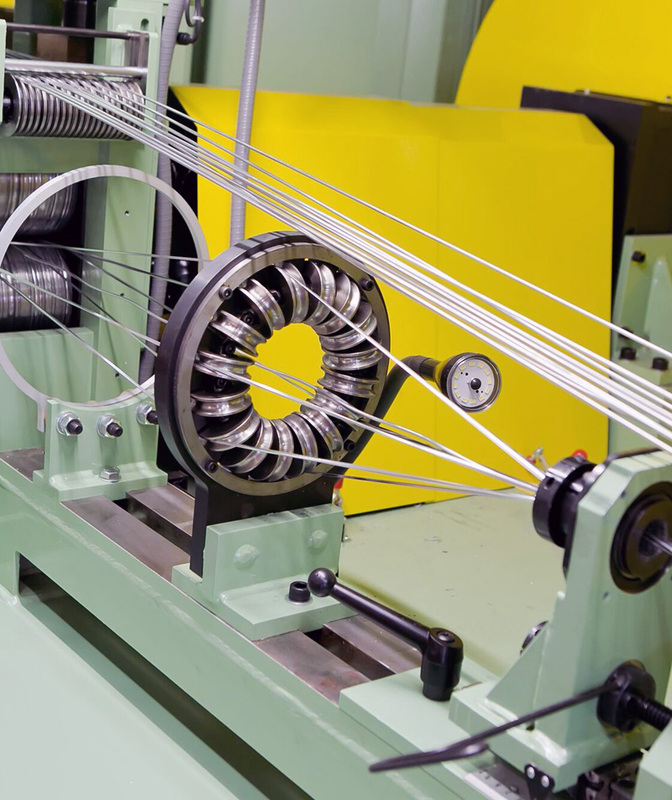 They minimize the twisting of bare wire/insulated conductors around their own axis by utilizing an eccentric ring principle to maintain the axis of the bobbins parallel as the cage rotates. These machines are designed in two versions, light duty, for cabling insulated conductors with low bobbin weight, and heavy duty, for stranding bare wire with high bobbin weight. Single Twist Stranders are suitable for stranding, cabling and armouring bare or insulated conductors (with or without taping). Double Twist Strander is an “outside/in” configuration with bow, capstan, take-up, traverse and loading platform. Depending on the strand construction and number of wires, either a single or double twist strander will be used, in order to optimize the tension and straightness of each conductor. 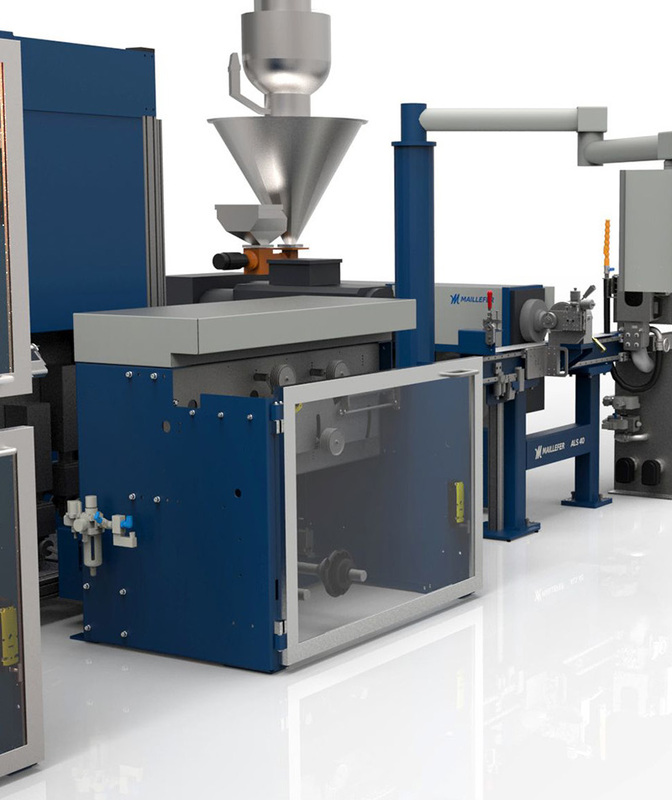 The aim of this system is to shape individual wire of single diameter and present the material to the strander in the optimum format depending on the desired strand construction. 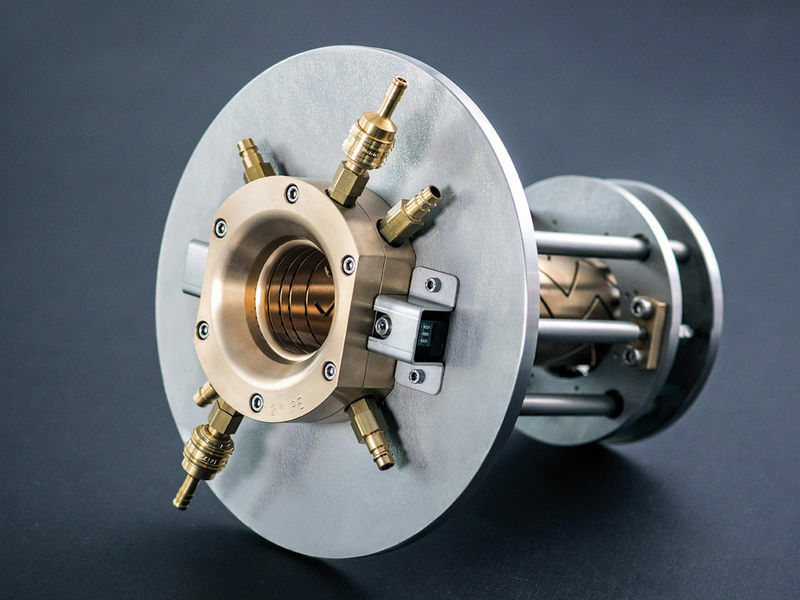 High speed Twinners are ideal for the manufacturing of shielded and unshielded pairs up to 5 mm diameter with a bow speed of up to 2500 rpm and line speeds of up to 600 m/min. 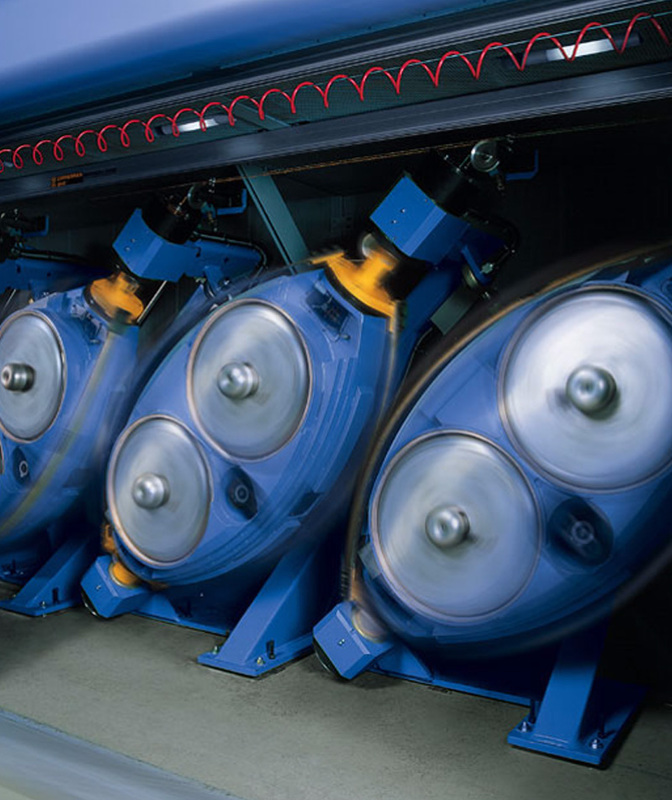 A digital drive package ensures precise lay control of the finished pair. This line is suitable to assemble with solid HDPE, FRPE, Foam HDPE and FEP insulations. 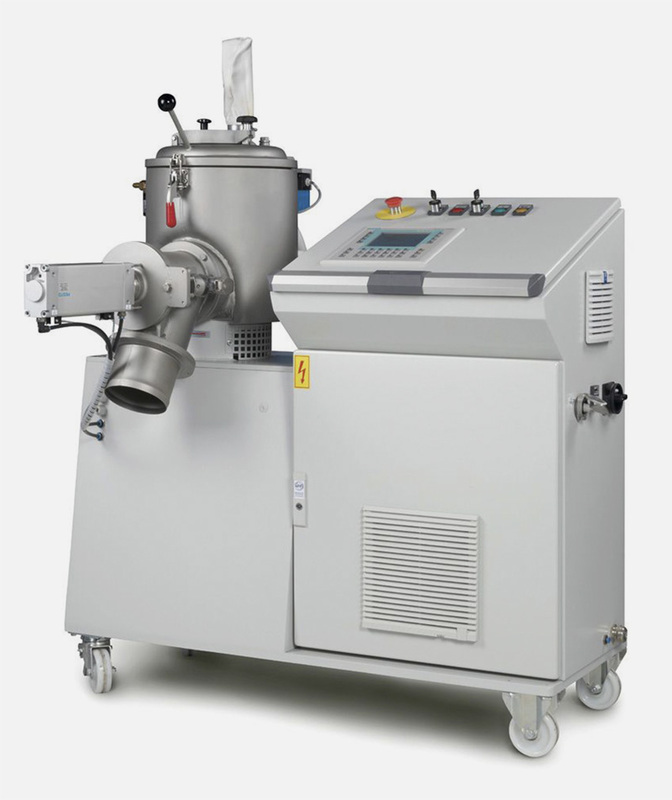 For laboratory solutions and small-scale blends, MTI offers the Laboratory Mixers Type M, which offer high mixing capacity on a smaller scale, are mobile and can be quickly cleaned. 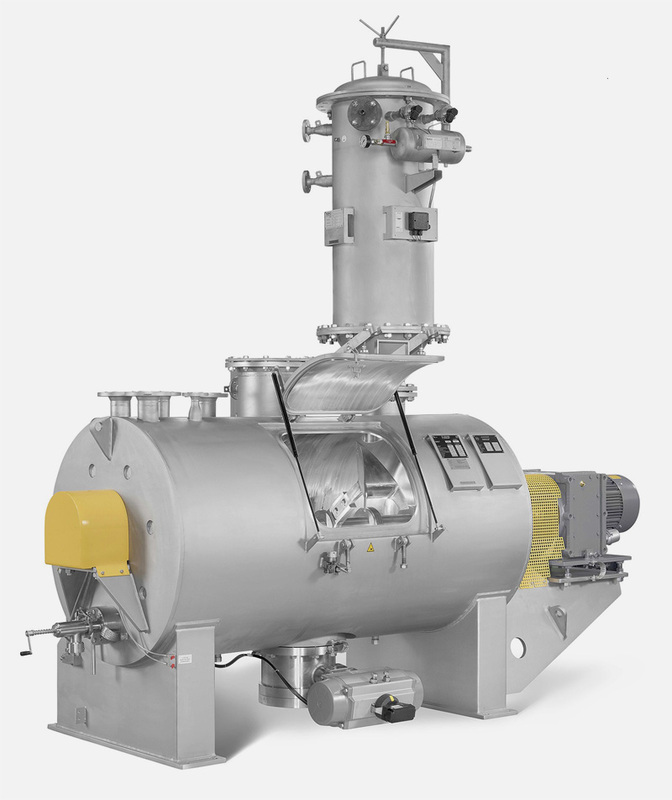 As a complete solution, MTI offers combined heating and cooling mixers. Two series are available, the Heating / Cooling Mixer Combination Type M/K Flex-Line, which offers customized solutions for the best possible performance, and the Heating / Cooling Mixer Combination Type M/K Eco-Line, which offers more affordable standardized solutions. 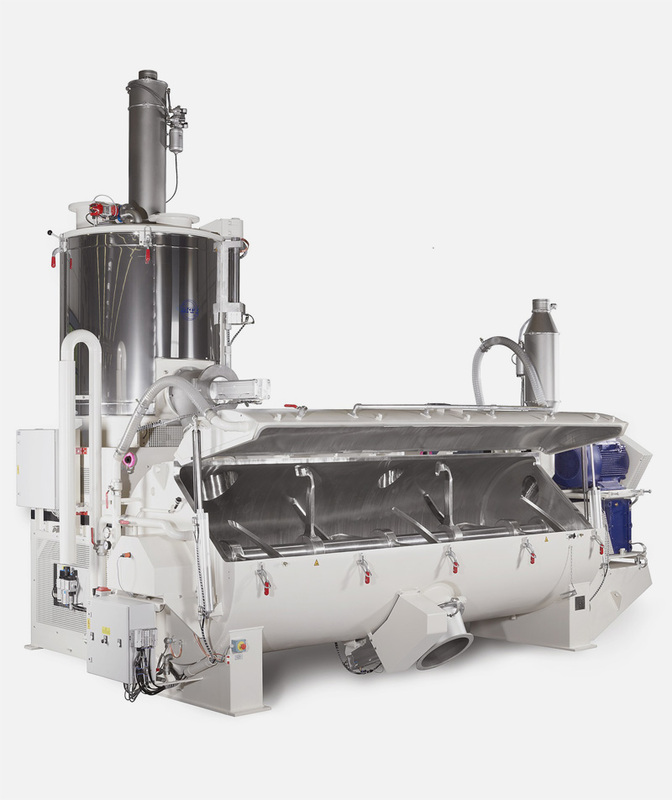 In both series, the mixer comprises a top-up heating mixer and a cooling mixer at the bottom. 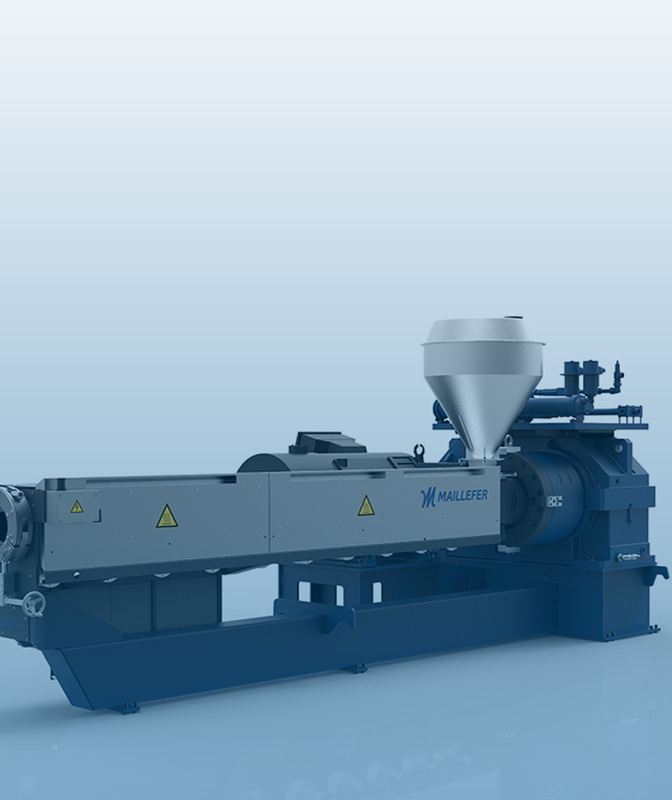 MTI offers horizontal mixers, such as the Horizontal Cooling Mixer Type K, for the cooling of mixtures. 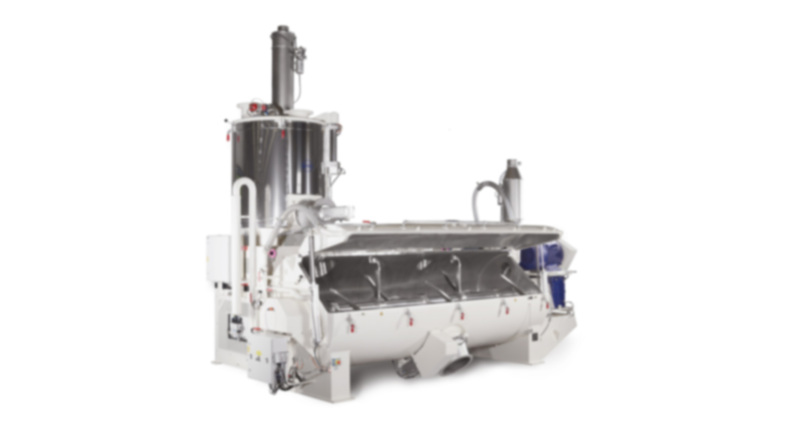 For greater flexibility and variety of products, Horizontal Universal Mixers Type H are suitable, as they are ideal for mixing, dispersing, granulating or coating, heating / cooling and drying of products for virtually all applications and industrial sectors. 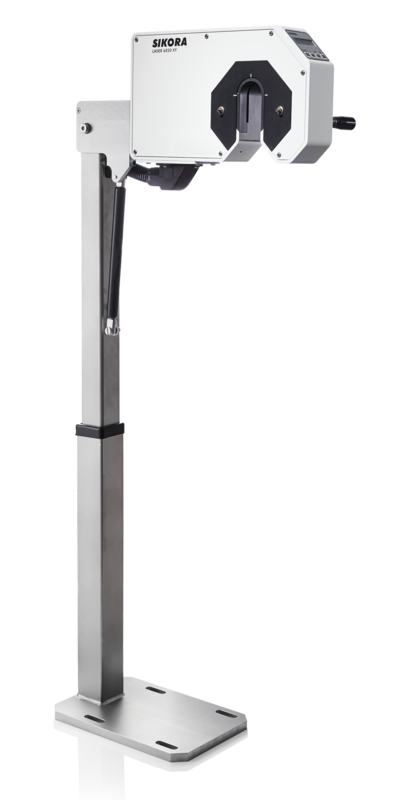 MTI offers two types of vertical mixers, the High Speed Mixer Type M, with peripheral speeds of 10 m/s up to 40 m/s, and the Universal Mixer Typ UT UniTec®, with peripheral speeds up to 8 m/s. 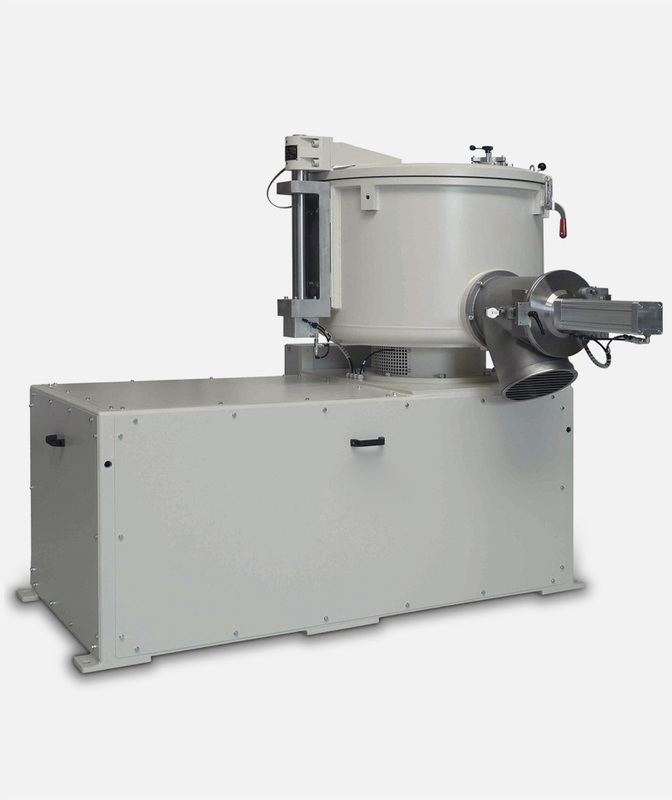 Both are friction mixers for powder materials with the option of adding liquids and offer a wide variety of processes ranging from heating and tempering by reaction, melting, and coating to agglomeration and dispersion, even under pressure or vacuum. The latest innovation of MTI is the Container Mixer C tecPRO, a robot with mobility in six axes and individual containers of up to 600 l capacity. It allows to make different subsequent mixtures in less time, since it is not necessary to wait for a previous cleaning. In addition, each container can have different tools, as these are not attached to the robot. 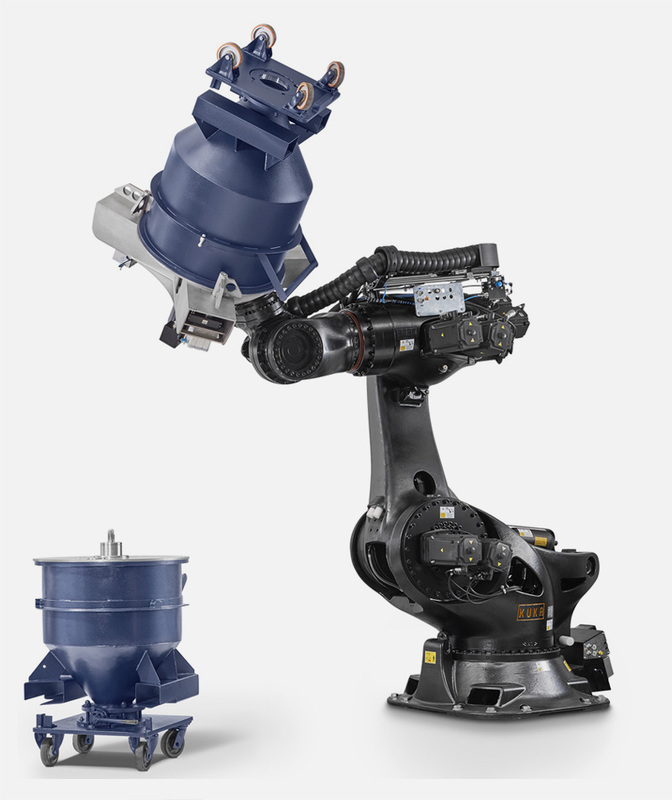 The flexibility of the robot allows working with containers of different sizes, so you can adapt the production of each mix to the needs and thus achieve maximum productivity. 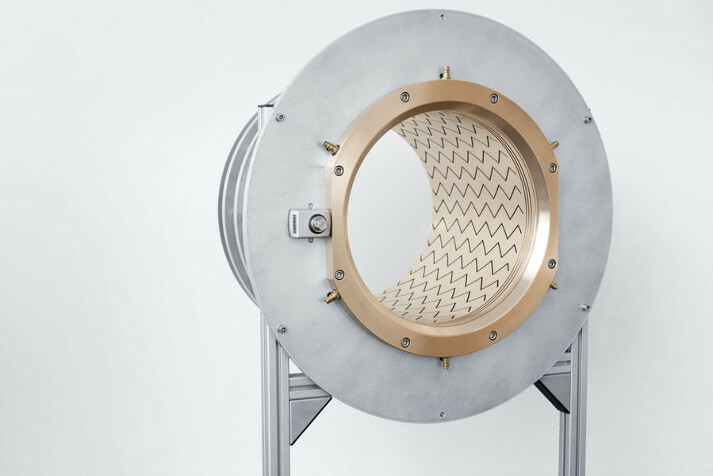 X-RAY 8000 NXT / ADVANCED devices for CV lines continuously measure the concentricity, diameter, wall thickness and ovality of cables up to three layers in a pressurized environment. 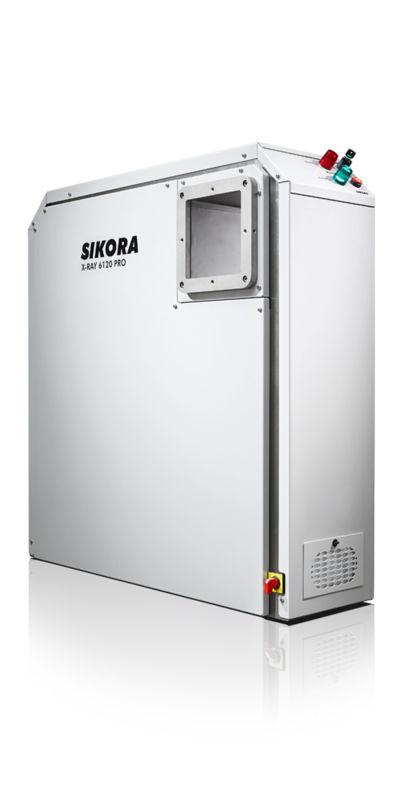 X-RAY 6000 / X-RAY 6000 PRO equipment measures continuously the concentricity, diameter, wall thickness and ovality during the cable sheathing process of up to three layers (X-RAY 6000 PRO). They contain no moving parts, so they do not require any calibration. 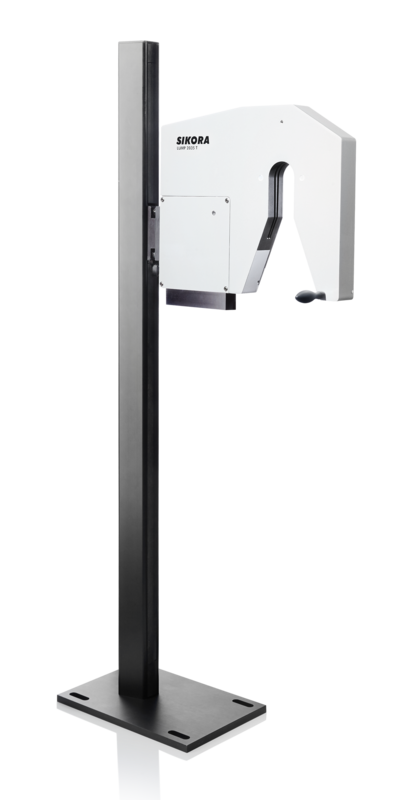 The CENTERVIEW 8000 unit measures the eccentricity, diameter and ovality of cables, regardless of line speed. Non-contact measurement based on an inductive and optical laser principle. 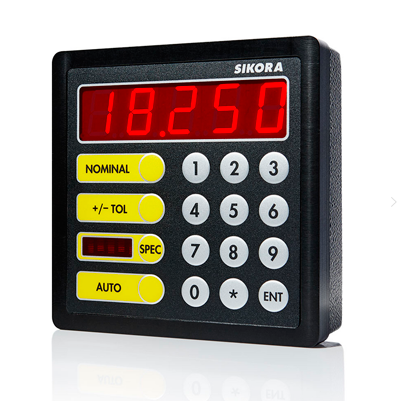 LASER Series 2000/6000 devices measure diameter and ovality continuously and without contact. They do not contain moving parts or lenses, so they do not suffer wear or require annual calibration.